general tourist and travel information. Language: Mandarin Chinese (Putonghua) and English are the official languages. Most staff in shopping malls, shops, restaurants and hotels speaks English or Putonghua. Though in Hong Kong, unlike the mainland, Cantonese (also known as Guangdonghua) is used as the de facto official language, and so is prevalent in all aspects of society. "Guangdonghua" is a Chinese mandarin dialect means the name of the language being used by people in Guandong province and Hong Kong and actually remains widely used for social and everyday communications in south east China. Hong Kong Currency: Hong Kong Dollar (HK$). The Hong Kong dollar to US dollar exchange is about US$1 = HK$7.80 and it will fluctuate slightly for consumers rate. Currency and traveler's bank checks can be change at banks, hotels and money changers. Major credit cards are welcomed in most hotels, shops and restaurants. 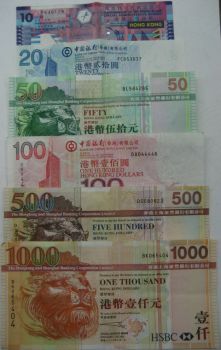 HK Currency Notes; HK$ 10, HK$ 20, HK$ 50, HK$ 100, HK$ 500, and HK$ 1000. 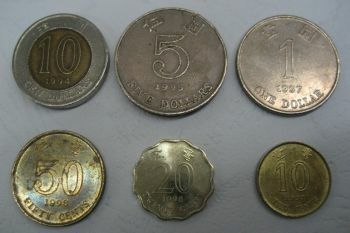 It is always good to carry small denomination notes (bill) or coins as small shops may not have change for HK$1,000 notes. Traveling to Hong Kong for a holiday is a dream everyone wants to live. Hong Kong is one of the world's most dynamic cities. A Hong Kong vacation requires some extensive research through Hong Kong information booklets, as well as various articles that have been written over the years that explain how the city has evolved into one of the most fascinating and exciting areas on the planet. Planning a travel budget is not an easy task, but there is plenty of Hong Kong tourist information available which can give you an idea of the amount of money you'll need to see the sights, enjoy the food and experience the diversity in this multi-cultural city. An important part of planning a travel budget is researching the currency exchange market so you can make it work for you. Hong Kong travel information always mentions the rate of exchange, but may not explain in detail how and when to exchange money in order to get the maximum return on your money. Some travelers land in Hong Kong and visit the closest exchange merchant or bank and accept their currency exchange rate with no other options. Exchanging your money at the airport can be an expensive transaction, especially if the Hong Kong Dollar gotten stronger while you were traveling. The market can change dramatically in two or three days and that movement can cost you an extra $40 or $50 for every $1000 exchanged, using the Dollar/Hong Kong Dollar trading pair. The currency exchange market is always in motion and what was considered a good exchange last week may change and be a travel budget busting rate when you land, but if you follow a few simple steps you can make the currency exchange rate work for you, instead of it working against you. Is a bank the best place to exchange my money for Hong Kong Dollars? Exchanging currency at a bank may not the best place to keep your travel budget in the black. Banks add a surcharge to each exchange and use a daily rate of exchange which may not be the real time exchange rate. Credit card companies also exchange currency but they make up their own rate, which includes their profit and when you use your credit card on the trip they add a surcharge to all Hong Kong purchases. Banks offer a competitive exchange rate if you compare one bank to another bank, but the best exchange rates are usually offered by foreign currency exchange traders, who tracks currency movement on an hourly basis. What is the best way to exchange my money for Hong Kong Dollars? Since a trip to Hong Kong is usually planned ahead of time, it makes sense to exchange small amounts of money at different times during the planning process. When you average your exchange rates you know how much each exchange costs, which helps you create a more accurate travel budget. Averaging your exchange rates can offset movement in the exchange market, which can easily add more expense and stress to the trip. An extended stay in Hong Kong requires a larger budget. Averaging your exchanges helps keep that larger budget in line, because there are fewer surprises. A personal security plan should always be in place before the trip. Cash should be carried in a money belt or a hidden pocket that is out of sight. Common sense and awareness are your best security tools and you should always use them.The knowledgeable staff at ForexTraders.com strives to inform everyone regarding the currency exchange market and online forex trading. To find out more about what we offer and how to improve your own strategy make sure to visit our site for free information. Climate: Hong Kong's subtropical climate has distinct seasons. Temperature will range from 25 degC to 32 degC during summer and 14 degC to 19 degC in winter season. Cleanliness: Hong Kong has a very strict Laws to maintain its environmental hygiene, including a fixed penalty fines of HK$1,500 for littering or spitting. Everybody is advise to help keep Hong Kong clean and beautiful. Security: Hong Kong is a SAFE city during the day and at night. Police are highly visible, friendly and helpful. To ensure that your stay is a pleasant, please always take care of your belongings. 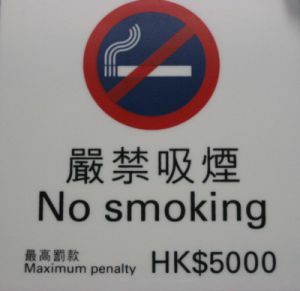 Smoking Ban: Smoking in Hong Kong is prohibited in most indoor areas including restaurants, karaokes, malls and some bars. It is also banned in some outdoor areas such as public beaches and swimming pools, transport interchanges and outside escalators. To explore Hong Kong country tourist attractions, please click here to view map.